Fourth full length of Nightbringer, Ego Dominus Tuus is one of the most anticipated album among the enthusiasts of the black metal music. The album is set to be released on the final day of September, 2014. Three spectacular tracks from the album have already been premiered and undeniably these revered creations have necessitated a wistful longing among the listeners to experience the taste of the full length. It goes without saying that the crafts that Nightbringer make transparent through their wondrous music are not a dime a dozen. The esoteric and occult essence that are reflected from Nightbringer’s music simply deserve admiration. 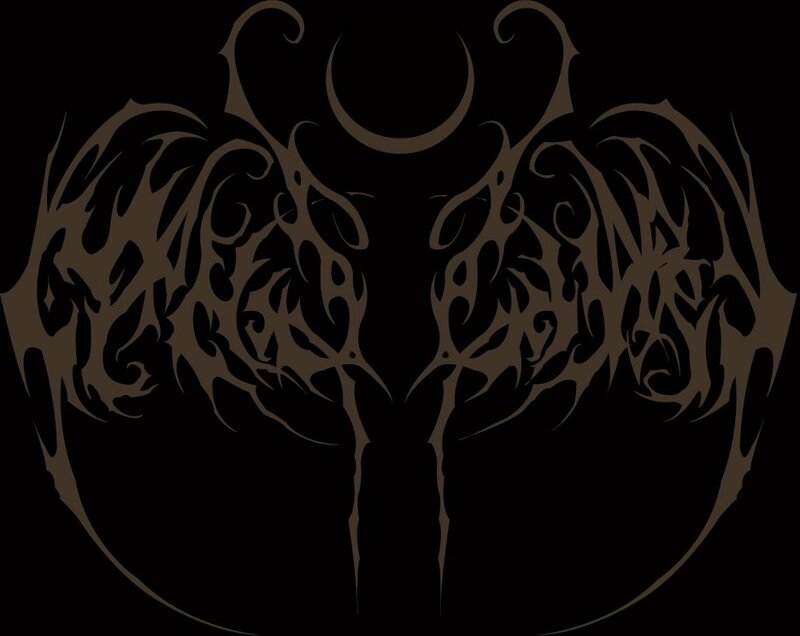 The band flawlessly holds a combination of eccentric sound and expansive spiritual based lyrical theme that can be regarded as an aestheticism in black metal music. New full length is probably going to be a watershed of the modern occult oriented black metal movement. 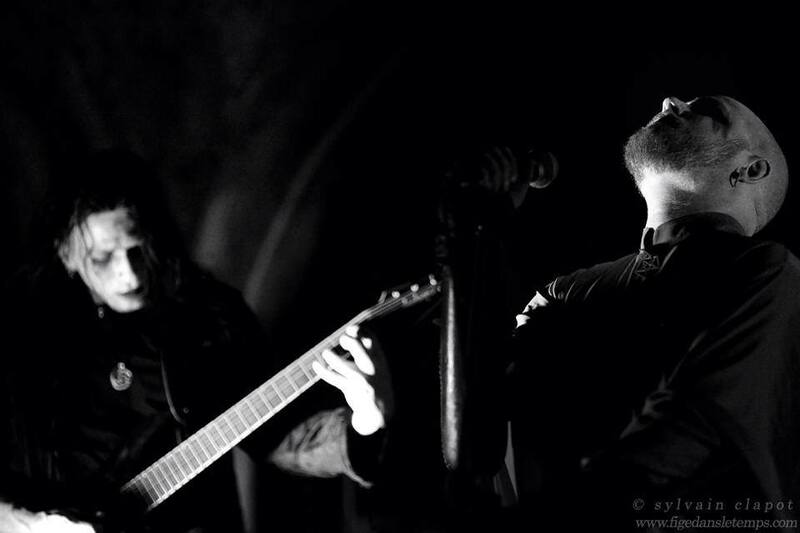 We have had in details conversation with the founder of the band, Naas Alcameth where he has opened a lot of words about the new release and more about Nightbringer and his other projects. Et Nox Illuminatio Mea In Deliciis Meis is a phenomenal creation. Maybe the track is just a glimpse of the entire album, but it has definitely increased my craving for listening to the Fourth Full Length of Nightbringer. Would you like to light up our readers by revealing the information about the upcoming full length? I can feel the presence of more atmospheric vibe in the mentioned track and the sinistrous signature guitar tones are also audible here. Brief us about the concept, writing and recording process of the album. N.A. : The concept is based on a cipher of a certain sacred name, in which is veiled a hierarchical formula consisting of three parts which represent three phases upon the path of the Great Work when approached from the infernal road. Without saying too much on the topic I can say that the concept of ordeal is central to the path of which we are relaying. 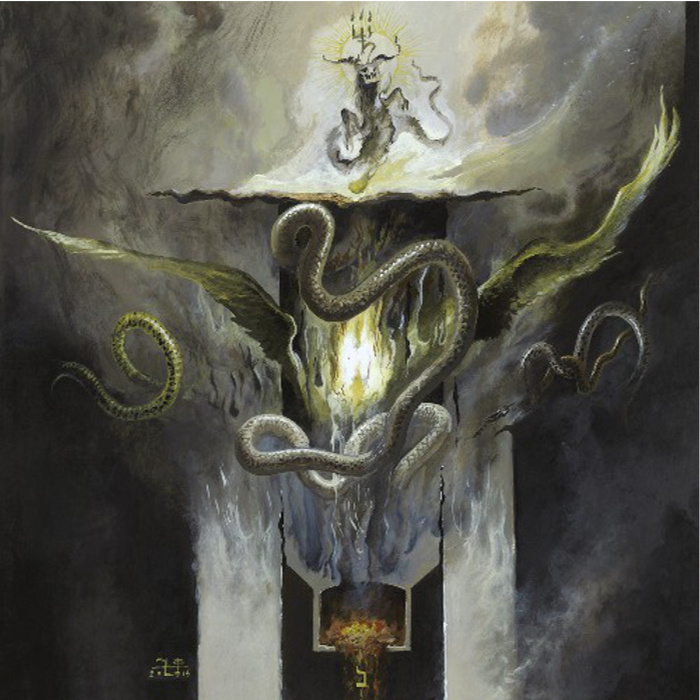 To reiterate what has been previously said regarding all of this, it represents the path of ordeal, from the transformative Fires of the Art within the crucible of the underworld, to the revelation of the Daimon to the Guardian at the Threshold and slaying the Sun of Death, Light of Lucifer. The allegory is sacred and has no direct bearing on any of the mundane aspects of the album’s creation. It is meant to reflect a spiritual process and the greatest spiritual aspirations. The writing and recording process was approximately one year in duration from start to finish. The songs were written independently by the respective core members with concept and overall shared vision kept in mind of course. We approached all of this in a very exhaustive and meticulous manner, more so than ever before and we believe the final result greatly reflects this. It can be assumed that each of the members of the Nightbringer has endowed their parts for the full length, just like the previous occasions. Am I correct? Which of the tracks are structured from your part? N.A. : This is correct. Musically I am responsible for writing and recording Et Nox, Lantern of Eden’s Night, I am the Gateway and The Otherness of Being, as well as the ambient pieces Prayer of Naphal and Call of the Exile which I did in collaboration with H. McFarlane of Funerary Call and the track Salvation is the Son of Leviathan which I created myself. VJS is responsible for the writing and recording of the tracks Things which are Naught and Where Fires Never Dreamt of Man and Ophis is responsible for the writing and recording of the track The Witchfires of Tubal-Qayin. I am lyrically responsible for Nephal, Et Nox, Lantern of Eden’s Night, Salvation is the Son of Leviathan and The Otherness of Being, while aRRa’ad handled Things which are Naught and Where Fire never Dreamt of Man and Ophis handled The Witchfires of Tubal-Qayin. Is the album name somehow related to Ego Dominus Tuus of B. Yeats? If it is, then do any of the tracks have resemblance with that poem of W.B. Yeats? N.A. : The title was indeed inspired by Yeats poem, specifically his concept of the daimon. Outside of this specific element of inspiration the lyrics are specific to the album concept mentioned above and not inspired from Yeats outside of this conception of one’s daimon. Lyrics of the track Et NoxIlluminatio Mea InDeliciisMeis is based on 139th Psalm and in fact the moniker of the track has also been taken from a line from it. 139th Psalm asserts the ubiquity of God. Does the lyric of the track also refer to the ubiquity of anything – any deity-or Satan? N.A. : Indeed it does. The lyrics are influenced from this psalm, which I felt, via a heretical approach, evokes such symbols as the ‘midnightsun’ and the ‘night of light’, symbols important to our work. The lyrics also touch upon the Greek ‘melancholia’ and the sovereignty of Saturn over those of us who are born with his mark and our relation to the former concepts. It relays the idea of ecstatic furorth at it is said one may enter in order to obtain wisdom, which is imparted both from ‘above’, ‘below’ and ‘within’, via a state of ‘divine madness’, the inspiration felt at the heights of an ecstatic state. As for mans amazement towards God, this would also be correct but in this track specifically the amazement is towards a specific aspect or face of God (God as understood as the Absolute as it is used in a Platonic/Orphic tradition), which in one instance may be expressed as Saturn and another as Satan. Regarding the interpretation of the ‘extermination of non-believers’ from the lines within the psalm, from this approach and personal interpretation, theselines serve to express our utterest rangement from those who are diametrically and fundamentally our spiritual opposites, and ultimately the irrevocable schism of those who would strive to truly be awakened, truly alive and those who are, unbeknownst to them, irredeemably dead. Inevitably we all will be ‘as food for the gods’, we are all slain unless we learn to be otherwise. David Herrerias has done the Cover Art. 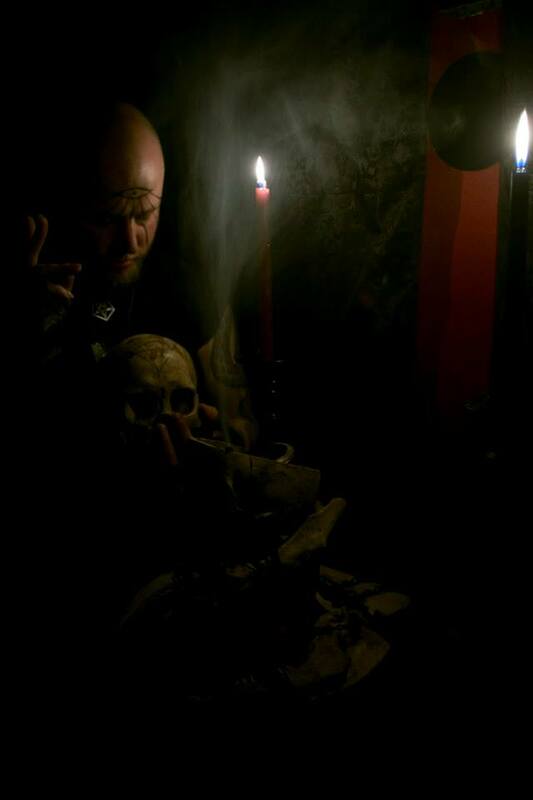 We have previously witnessed some of his splendid creations in the cover art of Necrocurse and Noxious Anathema. What message does the artwork reflect and how is it related to the concept of the album? N.A. : The album cover directly depicts the hierarchical triad, the enigma of the sacred name and path spoken of above. Menthor and ar-Ra’d al-Iblis reside far away from the other members of the band. Has it ever become an unpleasant incident for you in terms of recording and maintaining other activities? N.A. : Actually it really has not been a problem. The core members essential to the music composing and recording all reside here in Colorado, minus our drummer Menthor who is able to efficiently record his tracks from afar with some back and forth discussions and simple revisions. It has all worked out very well. Let’s traverse back to the last two split releases of Nightbringer – The Ruins of Edom (w/ Acherontas) and Circumambulations of the Solar Inferno(w/ Dødsengel).Both of the splits were conceptual approach. Is not it a demanding task to release a conceptual split with other bands as both of the bands need to cross the same path in terms of ideology and knowledge? Do you find the similarity with these artists in terms of philosophy? N.A. : It was not so difficult as both bands share at least some commonality in regards to spiritual philosophies. There was plenty of discussion between both entities before and during the composition process as to what the unified visions would be. Although our outlook towards spirituality is not identical to either of these great acts there was enough common ground to build a solid and unified conception. You are an admirer of both Ambient and Classical music. Implementation of the elements of these sophisticated genres has already been observed in the materials of Nightbringer. You are also associated with two ambient projects – Temple of Not and Akhlys. Do you have any intention to start any project related to classical music? N.A. : At this time I have no plans to do such a thing but perhaps in the future. It is hard to say. I think both Serpentanim and Excommunion are not full of life. What is the current circumstance of your other projects- Bestia Arcana, Akhlys and Temple of Not? N.A. : Excommunion has been resurrected for another album although there will be much departure from what it was when I was a youth. This will be out sometime next year via Dark Descent. There are no immediate plans for ToN but some things are coming together slowly for an Akhlys release, but this may still be a ways off. 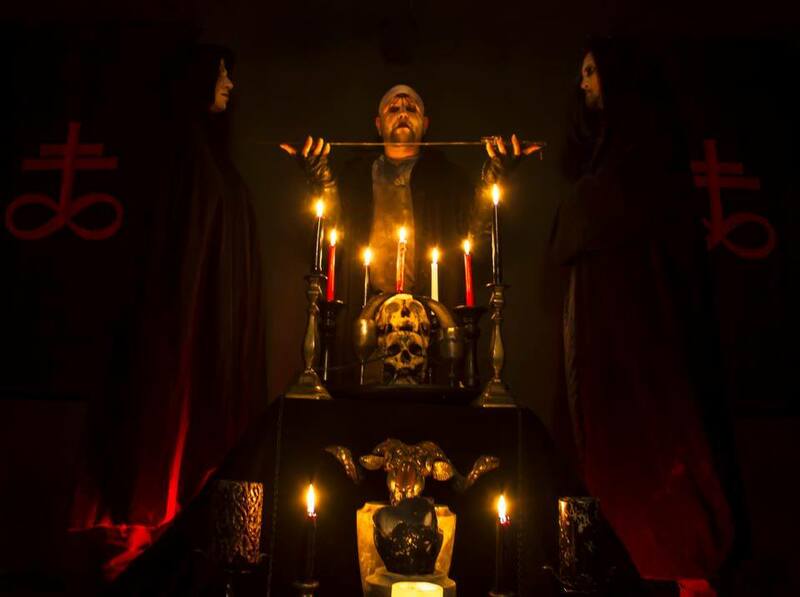 Regarding the Unholy Black Metal Fest – Gathering of Shadows in which you are associated with, what is the current condition of it? N.A. : I am uncertain if the individual behind it will do another one or not truthfully. We would love to participate again if it does come to pass. 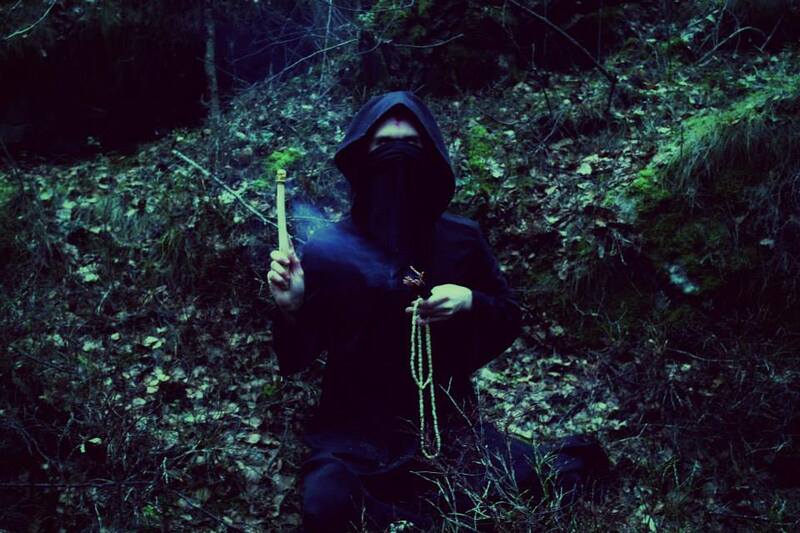 2014 is the 15 years of the tenebrous journey of Nightbringer. Will there be any 15 year anniversary tour or at least can we expect any supportive tour for the release of the album. Recently, you have covered a lot of regions of Europe. Any plan to put step into the other parts of the world? N.A. : That is unlikely however we do plan to return to European soil next year. As far as other parts of the globe, it is certainly being considered. Gratitude to you for your efforts to answer the questions. Finally, anything else you want to unmask relating to the future and the forthcoming album?